Identity theft is not a joke, and there are thieves out there looking for ways to extract other people's personal information. Even something as routine as swiping a card at a gas station pump can lead to trouble. Paying at the pump was designed for convenience, but more and more criminals are using these transactions to steal consumers' card information. In an act referred to as skimming, identity thieves will install hardware to a card reader (like at a gas pump) that captures all card and PIN information. The device that can be affixed to a gas pump or ATM is called a skimmer. And this is not an uncommon occurrence. According to FICO, credit card data theft at ATMs reached its highest rate in more than 20 years in 2015. Just recently, commerce officials in Minnesota discovered nine hidden credit card skimmers at gas stations around the state. And in other news, the Santa Barbara County Sheriff's Office had to issue an official warning earlier this year after a spike in credit card fraud and identity theft in the area. Consumers should always exercise caution when it comes to their personal information. But when something as routine as stopping to fill up on gas can lead to such a drastic outcome, extra preventative measures should be exercised whenever possible. 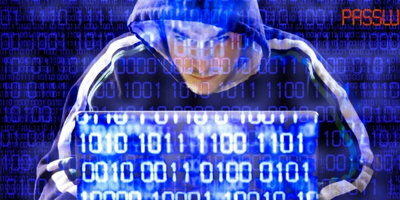 Identity thieves have been known to skim credit card information from gas stations. It used to be a very popular practice at bank ATMs, but criminals have gotten away from it because it was easy for institutions to monitor and detect fraudulent activity. These days, identity thieves are more prone to set their sights on standalone ATMs in locations that aren't as heavily monitored. The gas station has become a hot spot for such activity because it gives crooks a larger pool of users from whom they can steal. 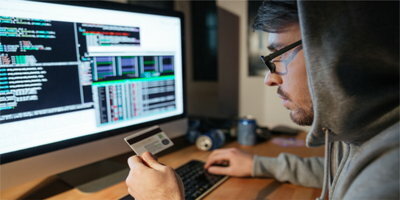 Many skimming devices can record the information from hundreds of cards at a time, and the consumer is none the wiser at the time because the transaction goes through as normal. Some skimming devices are mounted beside the normal card slot with a sign saying to put the card in there first. Others are attached right on top of or inside of the regular card slot. Either way, consumers are advised to inspect card readers at the gas station before swiping. Look for signs of tampering or forced entry, shake it to see if it's loose, and look for a security seal or sticker and make sure that it is intact. If you ever notice something that seems amiss, notify the station clerk. 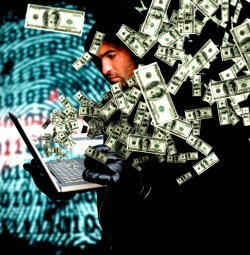 If a criminal gets wind of your debit card number and PIN, they can clean out your checking account in no time. 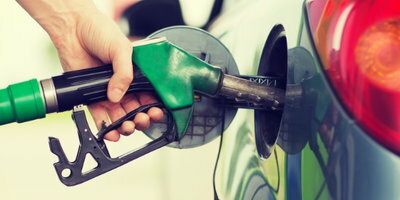 If you are going to pay at the pump, experts recommend that you always use a credit card. Credit card information can still be picked up from a magnetic-strip skimmer, but it's much more of a hassle to try to recover from a cleaned-out checking account than dealing with fraudulent charges on a credit card. 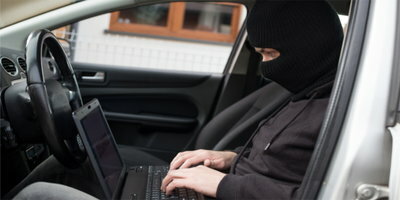 Plus, if a person's credit card information is stolen, their liability for unauthorized transactions is limited to $50 by law, and the large issuers often waive that fee altogether. Skimmers have found ways that allow them to discretely get their information-stealing devices on gas pump card slots, but that won't be the case inside the station. Since it's better to be safe than sorry, consumers are better off heading inside to pay. If they want to take it a step further, they can also pay with cash every time to avoid any type of credit use altogether. 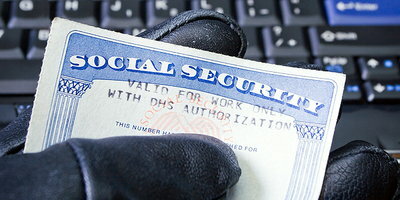 Even a careful consumer may become the victim of identity theft, and just about everybody is at some degree of risk. There's no fool-proof way to prevent it from happening to you, but measures like these that make it more difficult for thieves to steal your personal information certainly help. 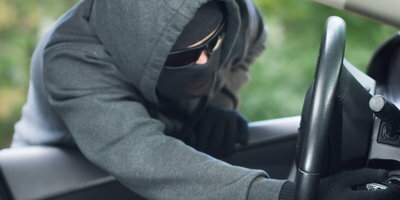 Outside of taking extra precautions like the ones listed above, the best way to make sure that it doesn't happen to you is to make sure that you are monitoring all of your bank and credit accounts. If you keep a keen eye on your bank and credit card statements, as well as your credit reports, then you will be ready to report any unusual activity as soon as possible. Some people may benefit from hiring a professional service to do this for them. When it comes to your personal information, you can never be too careful. When it comes to buying a car when you have bad credit, you can't do better than Auto Credit Express. We have an A+ rating with the Better Business Bureau and we help thousands of people find financing every day. If you need a vehicle but your credit is stopping you from getting approved for an auto loan, take advantage of our free and simple service. All you need to do to get the process started is complete our secure and obligation-free online application. Start today!